Las Vegas is one of those places that has been immortalized in movies and tv-shows. It markets itself as being America’s playground, and that’s partially right! Sin City has endless attractions to its visitors. Whether you’re on a bachelor party or on a girls’ trip, Las Vegas has everything you’re looking for. But forget all the movies and the rumors you’ve heard before — what happens in Vegas doesn’t really stay in Vegas, does it? This city in the heart of Nevada, surrounded by stunning desert, doesn’t just offer debauchery. There are romantic things to do in Las Vegas for couples too! Whether you call it Vegas, baby, or the Sin City, the city has something for all loved ones. If you know what to do and where to look, you’ll see that Las Vegas can be a romantic getaway and even a lovely stop on a romantic southwestern road trip! Here is a list of fun things to do in Las Vegas besides gambling. You won’t want to miss out on this city — visit Vegas and discover the city’s charm for yourself! The Aria Hotel, located a few blocks off the strip, is one of most luxurious hotel-casino resorts you can find in the city. The Golden Nugget Hotel is a more affordable option in the city if you want premium amenities but want to stay close to Las Vegas Downtown. 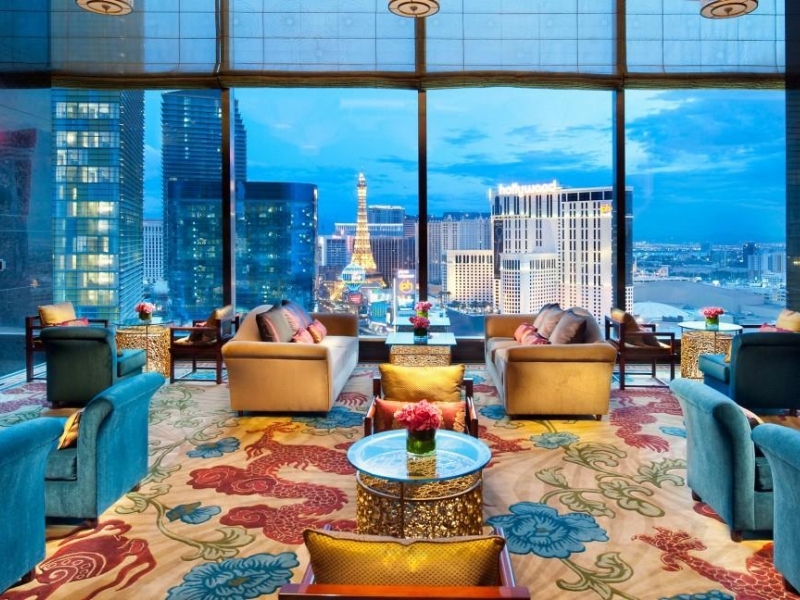 If you want more style, you can check into the Paris Hotel, which has stunning views over the Bellagio Fountains. Right on the Las Vegas Blvd is Caesars Palace, a hotel that needs no introductions, as it’s been a popular movie-shooting place for decades now. Staying at a luxury hotel is the best way to enjoy the city. There’s nothing better than to relax at the spa or at a warm indoor pool after a full day of going to Las Vegas shows, on helicopter rides, or walking down the Las Vegas strip. 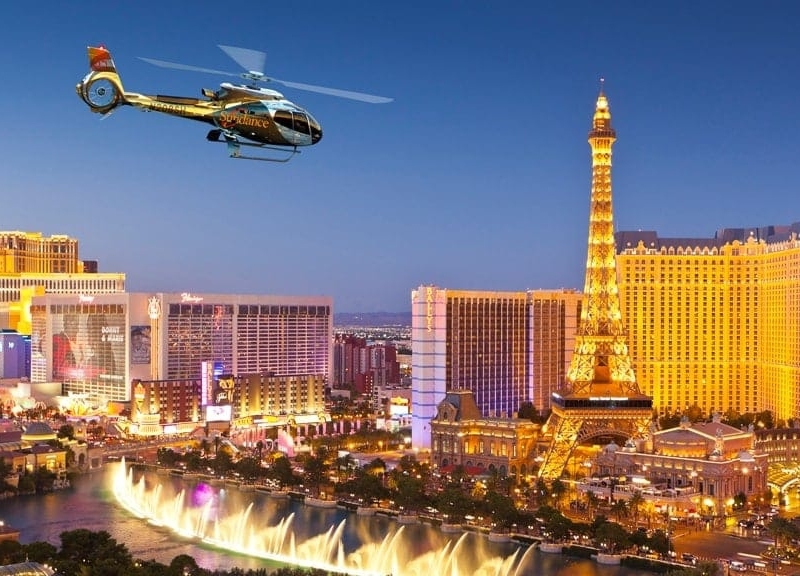 Helicopter tours are very popular right now in Las Vegas. There are dozens of tours every day that depart from the rooftop of several hotels and then fly out to the desert or over the city. A helicopter tour over the city of Las Vegas gives you a different view of the city. The lights start to blend together, and the hustle and bustle of the city change into something much less overwhelming but still beautiful. You’ll get to see the strip, the boulevard, and downtown from high up. There are also helicopter tours to the beautiful deserts around the city. Some last two-and-a-half hours while others last four hours in total. You can see the Hoover Dam, the Red Rock Canyon, and even the memorable Grand Canyon. Taking a trip to Vegas without taking the opportunity to look at Grand Canyon or the Red Rock Canyon would be like going to New York and not seeing the Empire State Building. Helicopter or not, Red Rock Canyon and the Grand Canyon are two Vegas essentials. It’s the perfect chance to see the city and the beautiful nature that surrounds it from a different perspective and one of the coolest things to do in Las Vegas during the day. There are premium helicopter tours that even include dinner at sunset in the desert! Whatever kind of tour you choose to go with, we’re sure you won’t forget the experience. If flying isn’t for you, you can stay grounded and head down to one of the state-of-the-art Vegas theaters to attend a performance. Downtown Las Vegas has plenty of theaters that regularly put on high-quality shows. Absinthe, Ka, Pen & Teller, Le Rêve, and The Beatles LOVE are just some of the many entertaining shows you can attend in the historic part of the city. We couldn’t help but mention Cirque Du Soleil’s cabaret- and burlesque-style show, Zumanity, that’s performed at the New York New York Hotel & Casino. It’s one of the best things to do in Las Vegas for adults that doesn’t involve going to strip shows. In fact, the show is so good that tickets often sell out, making it one of the best-selling adults-only show in the city! All these shows are the perfect setting for a fun and entertaining date. Whether you’re more into comedy shows or want to be a little naughty and attend a cabaret show, Vegas has the perfect show for your date night. 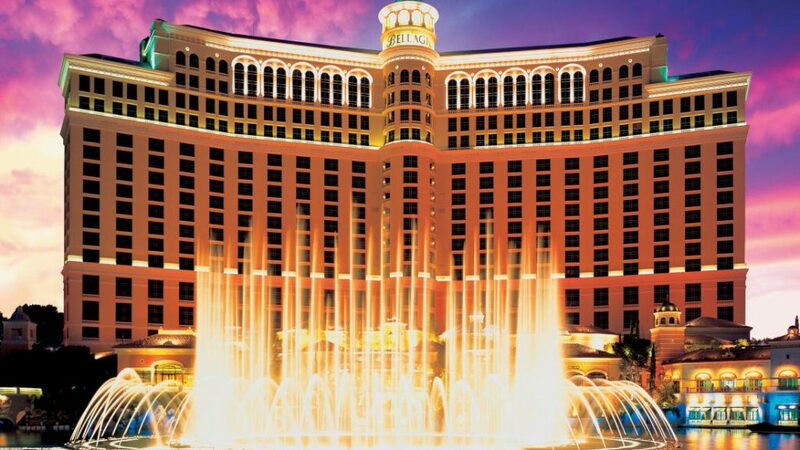 Perhaps the most iconic site in the city, the Bellagio Fountains are a romantic show of powerful shooting jets. This view of one of the most Las Vegas hotels is a must when you’re visiting. If you’re looking for things to do in Las Vegas for cheap, it doesn’t get any better than this! During the day, the jets shoot out the water at increasingly high and increasingly low heights. The fountain goes off every 15 minutes, so sit back under the trees and enjoy the show. The best place to watch the shooting water is in front of the Bellagio hotel. Another great viewpoint is behind the Eiffel Tower and the Paris hotel, another one of the more famous Las Vegas hotels. At night, the lights make the whole fountain come even more to life. It becomes a memorable light and water show you won’t see anywhere else — only in the precious Sin City. Don’t forget to snap an iconic Las Vegas picture with the Bellagio Fountains in the background with your loved one! It will be one for the books. The best place to see the main things Vegas has to offer is the Las Vegas Strip. It’s known all over the world and it (unexpectedly) makes for a great romantic stroll with that special someone. The first thing you’ll see on the Strip is the epic “Welcome to Fabulous Las Vegas, Nevada” sign. What better way to enter the city? There are so many things to do in Las Vegas on the Strip. Just walk down the eight miles of avenue and see for yourself! You have The Park — a new addition to the city complete with open-air restaurants and dazzling water features, — the Fountains of Bellagio, the Mirage Volcano, and so much more! But it’s not just the buildings that make the Strip so amazing: it’s also the people. Las Vegas is notorious for attracting all kinds of people — from wealthy magnates to extravagant dressers looking to party over the weekend. After walking up and down the Strip, you’ll forever have Vegas engraves in your memory. Taking in the city from this point of view is not to be missed and one of the best things to do in the city. When you get tired from all the walking, head down to one of the many restaurants for a hearty meal — you’ll see the Strip has all kinds of cuisines to suit your fancy. 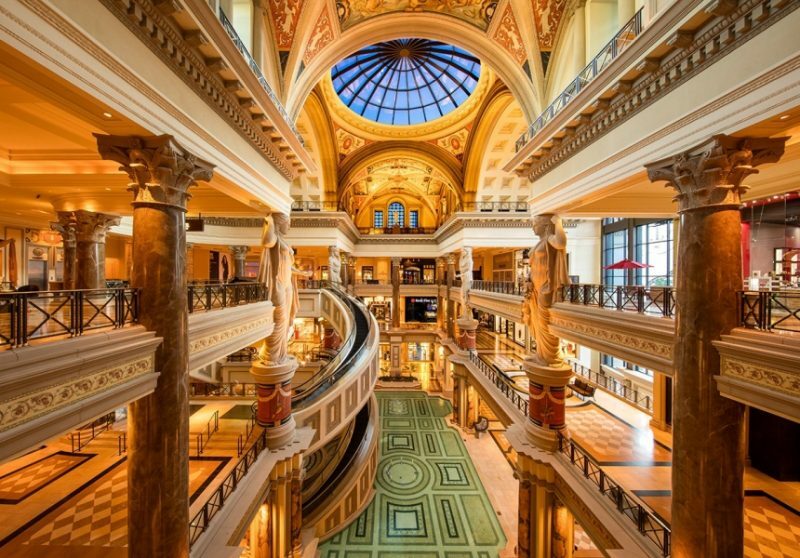 Las Vegas is one of the shopping capitals of the country and no trip to Vegas is complete without a shopping session. There are just so many shopping malls in the city! Husbands and boyfriends usually hate shopping with their wives and girlfriends — but not in Vegas! Most shopping malls are themed, so not even walking around and waiting for your partner to be done trying on new outfits will be boring. The Forum Shops at Caesars Palace Hotel are one of the most loved ones in the city. The sheer variety of goods will make you go crazy. From jewelry stores stocked with the shiniest rings and necklaces (perfect to surprise your special someone) to unique handbag stores, the Forum Shops has it all. If your typical date night back home is going to a bar, you’ll be happy to hear Las Vegas has some of the best bars in the country. Actually, scratch that — in the world! The Mandalay Bay is the perfect place to go on a date with your loved one. Grabbing drinks at this bar & lounge is one of the most memorable things to do in Las Vegas for adults. There, you can try dozens of exciting unique cocktails prepared by award-winning bartenders. Also, the setting is as romantic as it can get: the dimmed lights contrast with the deep-colored display that lights up the whole bar from behind the counter. While you’re there, don’t forget to check out the Shark Reef at Mandalay Bay! The 1.300.000-gallon tank is one of the world’s biggest aquariums in the world. You’ll see manta rays, dozens of species of fish, reptiles, marine invertebrates, and sharks. There’s even a shark tunnel you can go through and get outstanding pictures! History buffs and lovers of Las Vegas will love going up to the Neon Museum. The museum is just outside the city, to the north, and it houses the out-of-use neon signs that once lit up the city. More than 200 now-outdated neon signs dot what is commonly called “the Boneyard.” They once lit up the whole city and drew in thousands of peoples to the restaurants, theaters, and strip clubs where they were put. But now, their job is to tell the history of the city. Don’t miss the hour-long guided tour through the Boneyard. You’ll get the most out of the museum if you closely follow the guide’s explanations of how the Sin City was in the 20th century. You’ll soon realize that this is one of the oddest but still amazing things to do in Las Vegas for those looking for an alternate view of the famous city. You get to walk around with your loved one while surrounded by an overwhelming amount of large neon signs — where else can you get this experience? 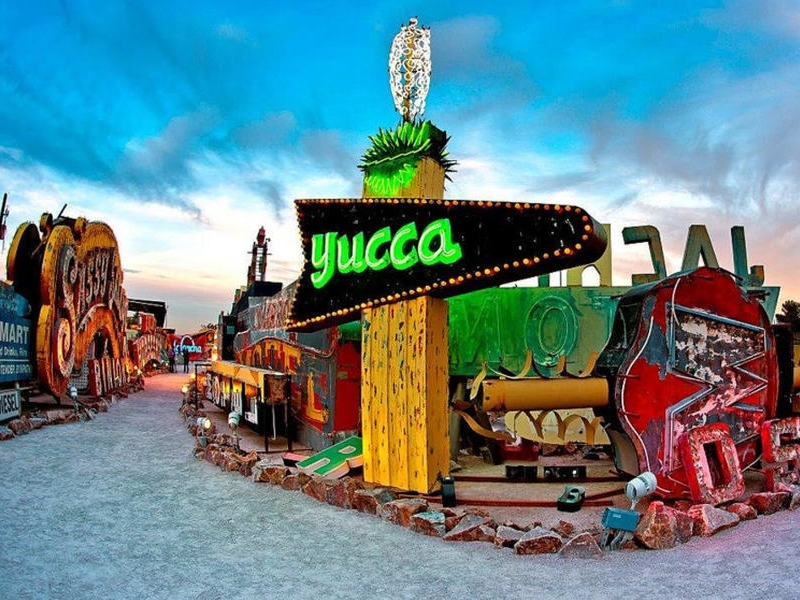 At night, some of the neon signs light up, casting the Boneyard in psychedelic-like colors. The museum also plays Rat-Pack-era music to help you feel completely thrown back to a glamorous past. It’s impossible not to associate Las Vegas to rushed, speedy weddings. 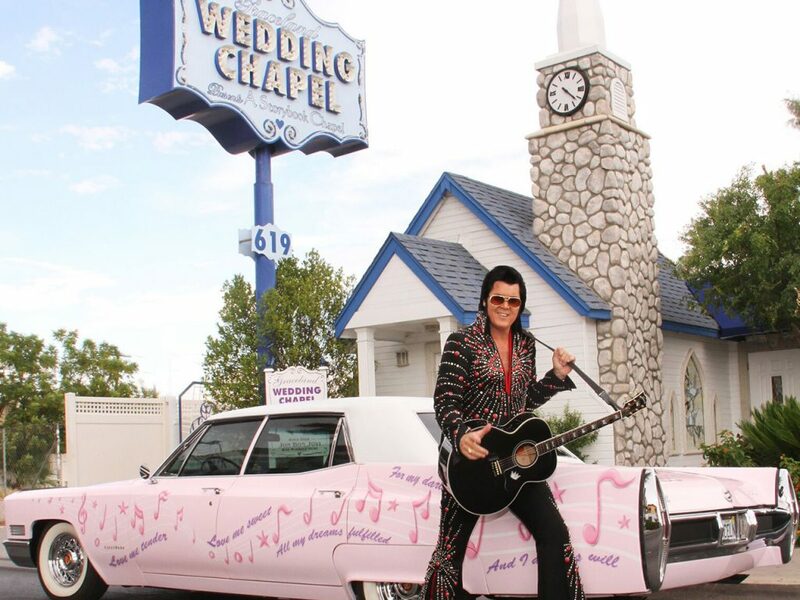 The cheesy chapels and the officials dressed like Elvis are an iconic part of the city’s character! Tying the knot in Las Vegas would surely be the perfect ending to your trip. Getting married in the city is so easy and cheap that it’s no surprise so many people do it. Even if you’re already married, you could book a romantic vote-renewal ceremony with your significant wedding. These speedy weddings are perfect for people who don’t want to make their wedding day a big thing. If you’re looking to have a private ceremony that’s equal parts cheesy and sweet, then a Vegas wedding could be for you! Plus, it’s an iconic part of a trip to Vegas. With so many good restaurants, it can be hard to choose just one. 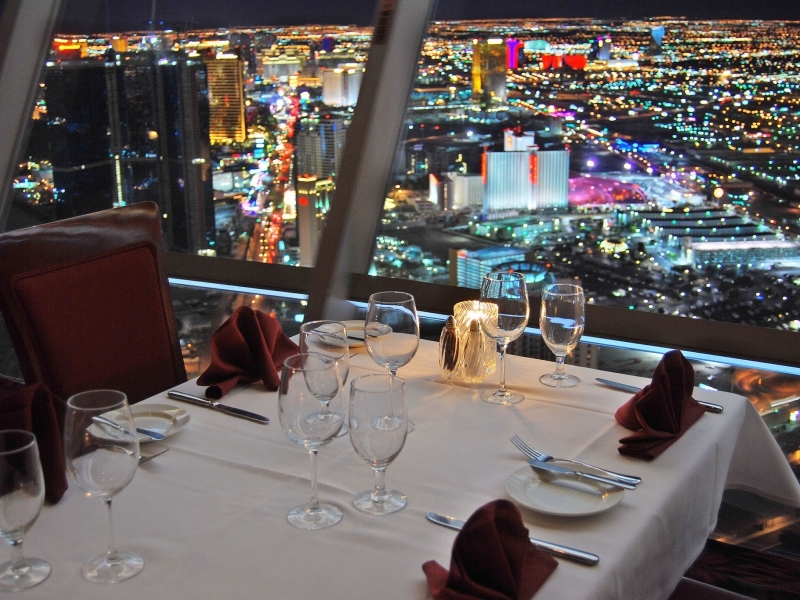 But a romantic dinner with a fabulous view at the Top of the World Restaurant is alone worth a trip to Las Vegas. Located on the strip, the Stratosphere Casino Hotel & Tower stands out in the endless skyline of Las Vegas. The restaurant, open to hotel guests and to the public, has some of the best chefs in the city. They serve salads, soups, mouthwatering steaks, and fresh fish year-round. Just looking at the plating will make your stomach start to growl. And who can forget about the highlight — the view? The tables, set right next to the ceiling-to-floor windows, offer the best views over the city. You’ll see the Strip at your feet and the whole city sprawled out to all sides. The Top of the World Restaurant is the place to come to if you’re celebrating a special date, such as your twenty-year anniversary. Or, who knows, the perfect place to pop the question and get engaged! 11. 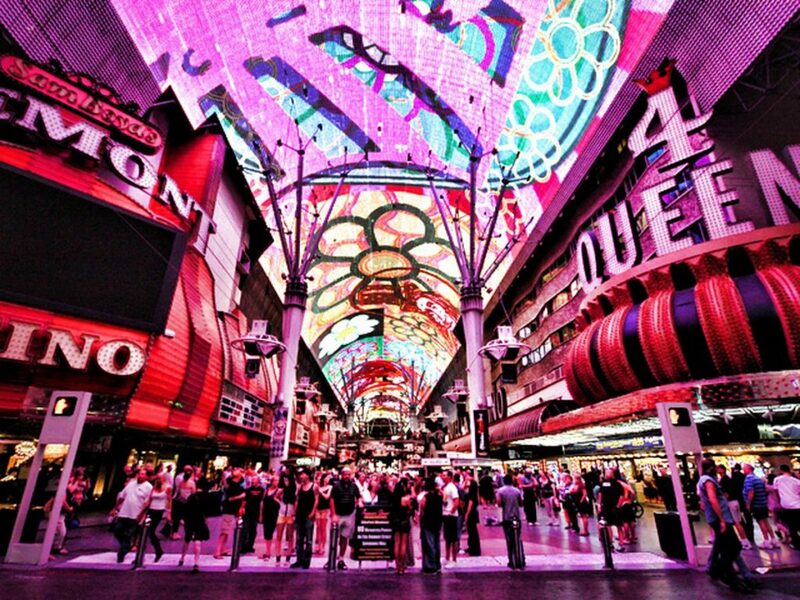 Enjoy the Fremont Street Experience! One of the best free things to do in Las Vegas off the strip is embarking on the Fremont Street Experience. Enjoy the six-minute-long light show projected on the curved ceiling screens and the awesome free concerts that happen regularly! The Fremont Street Experience is an open-air pedestrian mall located on Fremont Street. The street itself is insanely famous for being home to the most casinos in Las Vegas. 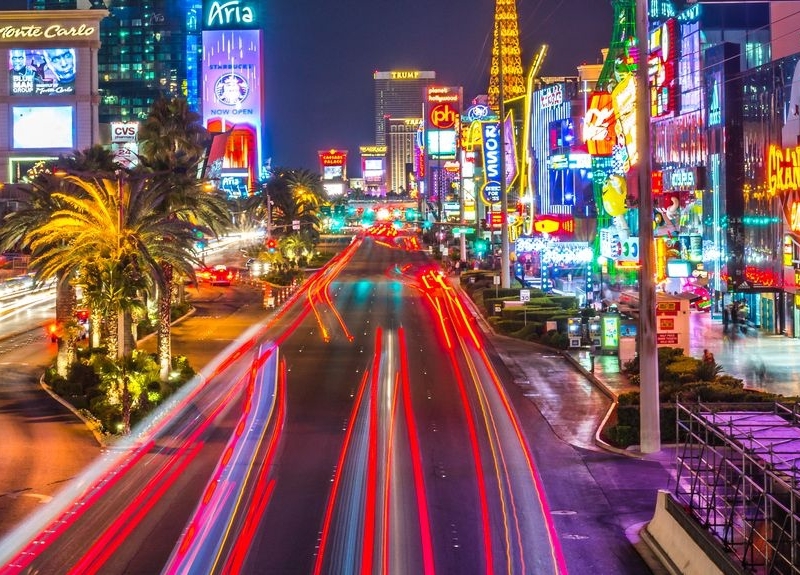 It’s a very lively street that is worth paying a visit to if you like gambling — definitely not one of the best things to do in Las Vegas for under 21-year-olds! The mall is another great attraction in the heart of Downtown Las Vegas. 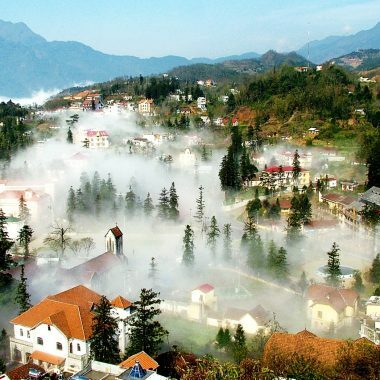 All travel guides will tell you to visit it — and so are we! The Viva Vision is probably its best-known feature. The 90-feet-high and 1,500-feet-long canopy has around 12 million LED lights. Once the show starts, it runs for six minutes straight and dazzles everyone watching. You can only experience this jaw-dropping show at dusk and at night — so be sure not to miss it! Another exciting attraction at the Fremont Street Experience is the SlotZilla Zip Line. Have you ever zoomed along a zip line over the top of a mall? Well, you can here! It’s an exhilarating activity for those who love adrenaline and one of the most fun things to do in Las Vegas, Nevada for couples! After all that excitement, you probably want to relax next to your loved one. 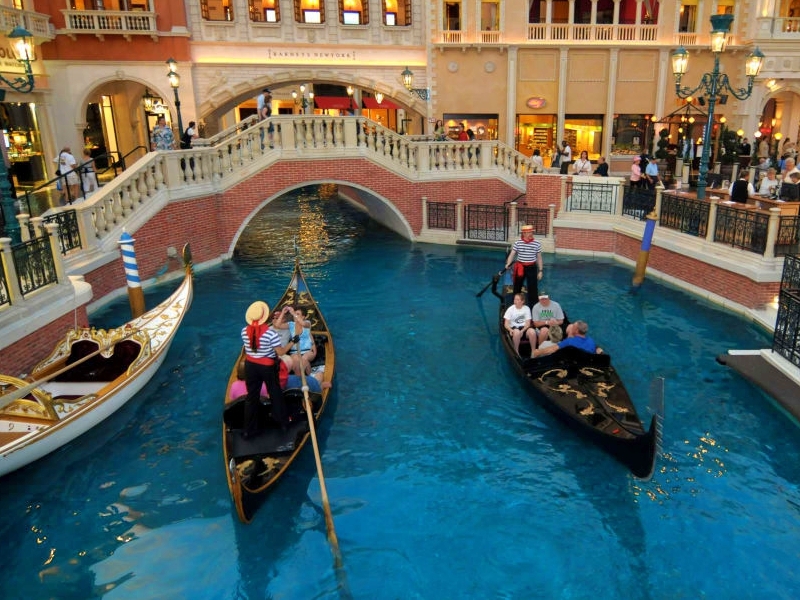 The Venetian Hotel has just the right thing for you: a Venetian-style gondola ride! Going on a gondola ride is a great way to pretend you’re in the country of love. You might not have flown all the way to Europe, but you can at least pretend you have! The hotel does its best to mimic the infamous gondola rides of Venice — the gondolier even sings to you like they do in Italy! Yes, it might not look like Italy with all the lights surrounding you, but the ride through the indoor and outdoor waterways is still a lot of fun. You even get to sip on some complimentary champagne. Now that you’ve seen a part of Vegas from the water, why not go to the High Roller Observation Wheel and see it from high up? 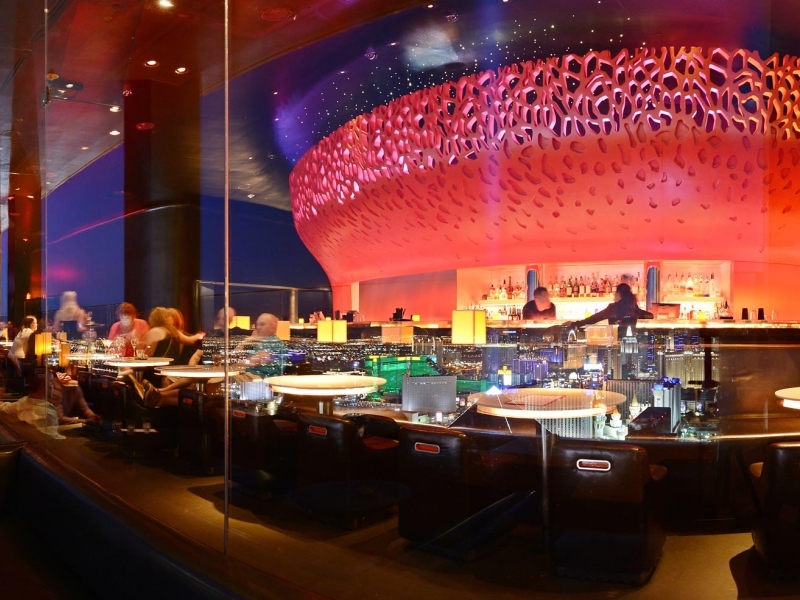 Go with your loved one 550 feet above the ground and delight in the outstanding views over the Strip. 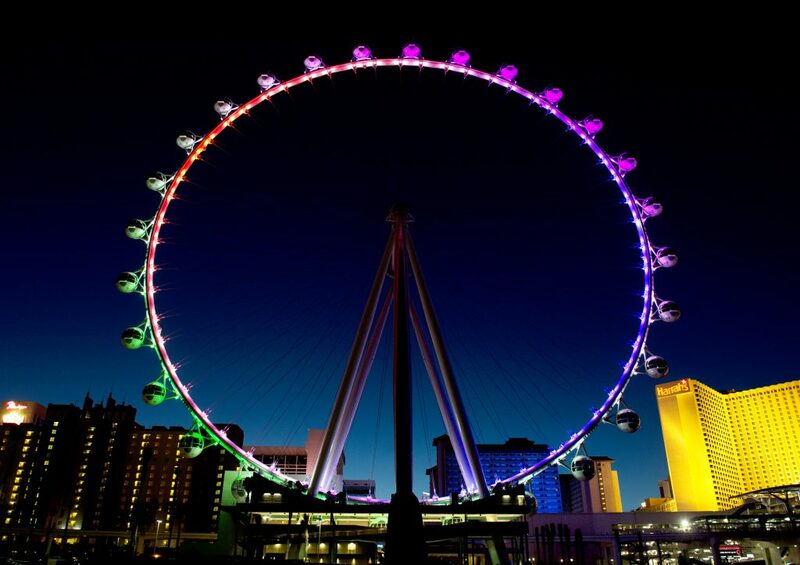 The High Roller Observation Wheel is one of the top Las Vegas attractions. The floor-to-ceiling windows in each pod give you a killer view of the Strip and of everything that’s going on down below. The whole ride takes 30 minutes and all the pods have air conditioning. You might get lucky and get the whole cabin to yourselves, which makes it all the more romantic! 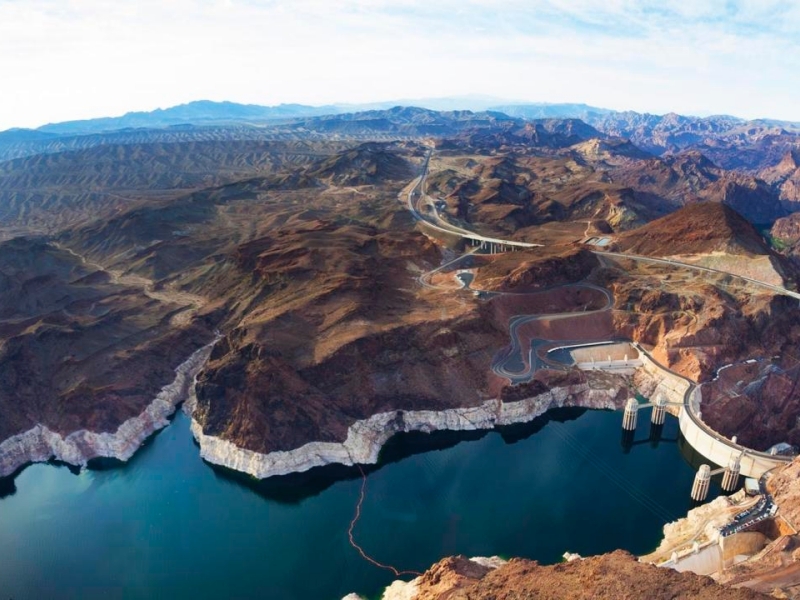 Did you know that Lake Mead, a beautiful natural landscape, sits just 40 minutes away from the Las Vegas Strip? It’s well worth taking a day off from all the bustle in town to unwind out in the open. The Lake Mead National Recreation Area is the perfect place to go to if you want a break from the frenzy of the city. There are several hiking trails connecting the entrance of the park to the lakeshore — great to work off some of those rich meals and heavy cocktails. When you get to the shores of Lake Mead, rent a canoe or a kayak and explore the hidden coves with your loved one. Don’t forget to paddle out to the stunning Black Canyon. It’s an exciting activity we’re sure you won’t forget. No, you’re not hallucinating — you can really see exotic animals right there on the Las Vegas Strip. 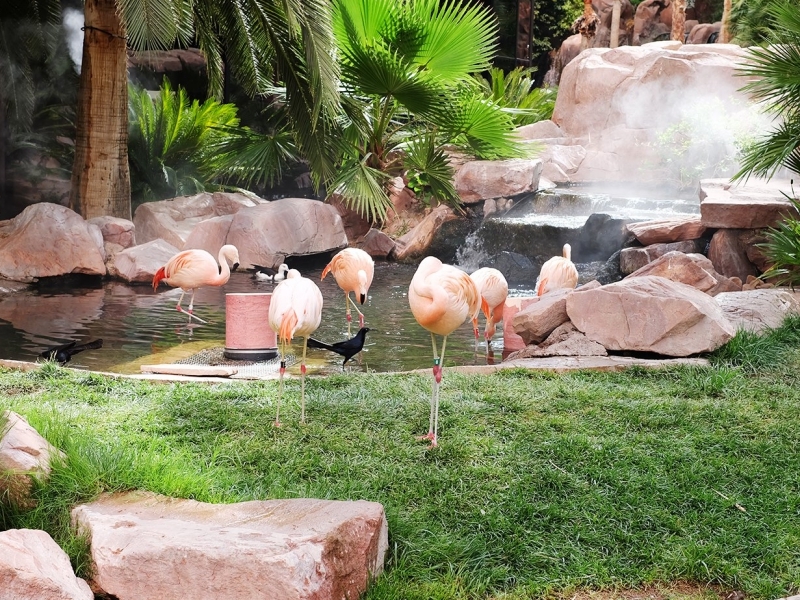 The Flamingo Hotel grounds are home to dozens of beautiful species of birds and fish. Were you expecting to find nature in one of the busiest avenues in the world? You’ll find Chilean pink flamingos, koi fish, ducks, and many more animals roaming the grounds of this hotel. You can get up close and personal with many of these animals and see that they’re not afraid of humans! Even though the hotel is just a stone throw away from the Strip, the way the gardens are laid out will make you feel like you’re miles away. The grasslands, the waterfalls, the brooks, and the streams are the perfect setting for a romantic stroll in nature. The Wildlife Habitat is the perfect way to feel less overwhelmed by the city while still being at the heart of it all. What are the best things to do in Las Vegas for couples at night? Las Vegas truly comes alive at night, so there are thousands of things you can do with your loved one. 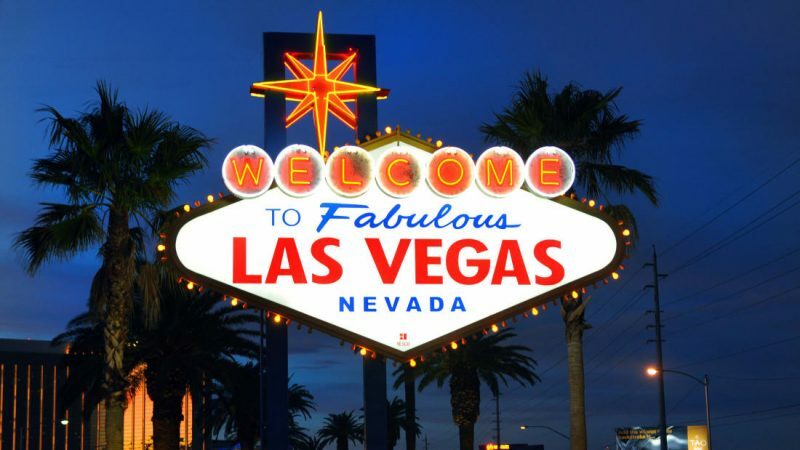 You can attend a Las Vegas show (for example, Cirque Du Soleil’s Zumanity), go on a bar and hotel crawl, gamble at one of the many Fremont Street casinos, enjoy the Fremont Street Experience, go on a gondola ride, and so much more. It all depends on your mood! What is the best time for Las Vegas getaways for couples? The best times to escape the heat waves are from March to May and from September to November. 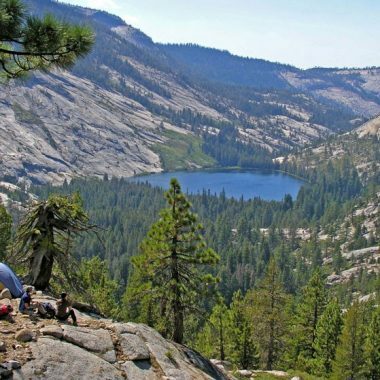 You’ll still have great weather and you’ll also ditch the crowds. There are also a lot of cool events going on during New Year’s Eve but beware because the city can get very crowded. Since most people flock to Las Vegas during the weekend, you’ll want to plan your getaway for the middle of the week. You’ll find the best hotel rates Tuesday through Thursday. What are some things to do in Las Vegas for cheap? There are plenty of cheap and free things to do in Las Vegas. Walking up and down the Las Vegas Strip or going to the Fremont Street Experience is completely free. Seeing the Bellagio Fountains go off and the second-most romantic Eiffel Tower also won’t break the bank. There are also some pop-up free art installations in downtown Las Vegas, so keep your eyes peeled for that. Which things to do in Las Vegas for adults are the best? The Cirque Du Soleil Zumanity show is only open to adults and it’s a great cabaret experience. If that is your thing, you can also attend striptease beginner classes, go to some adult bars, or hit the casinos. Just make sure you have a valid ID with you, so you don’t get sent back!